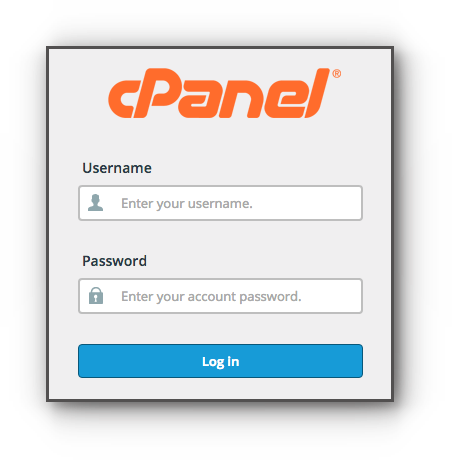 Stealth forwarding and monitoring feature are available for our Business Hosting packages. Continue reading this article to learn more about it. Stealth email forwarding allows you to backup all incoming and outgoing emails towards your email account into a backup email address. In an unfortunate event where you accidentally delete your email, you may look into the backup account and retrieved them. To Begin using this feature, you must first decide on the emails account you wish to back up. Ensure that both emails accounts are created. If not, proceed to create an email account manager@tutorial.serveraddress.com and the backup account, preferably as backup.manager@tutorial.serveraddress.com. Step 2. Click Forwarders from the Mail panel. Step 3. Click on add forwarder. Step 6. Click on Add Forwarder to save the changes. The above steps will allow backup.manager@tutorial.serveraddress.com to receive a copy of all incoming emails that manager@tutorial.serveraddress.com is receiving. Step 7. Click on Add Forwarder again. Step 8. Enter the smtp.address you wished to forward from. 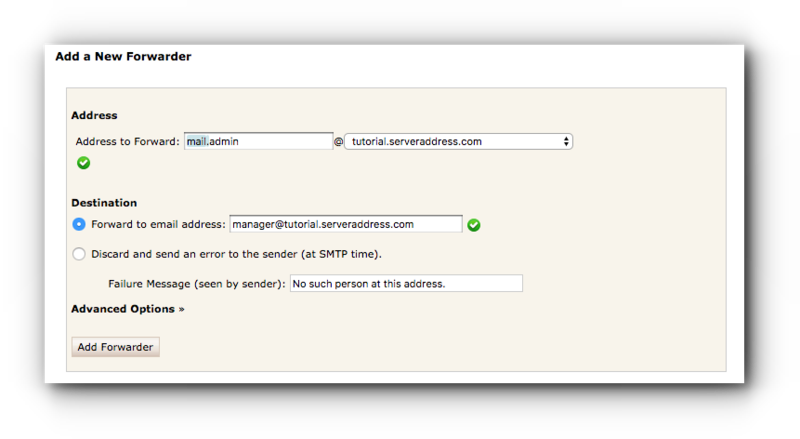 (Example smtp.manager@tutorial.serveraddress.com). Step 10. Click on Add Forwarder to save the changes. 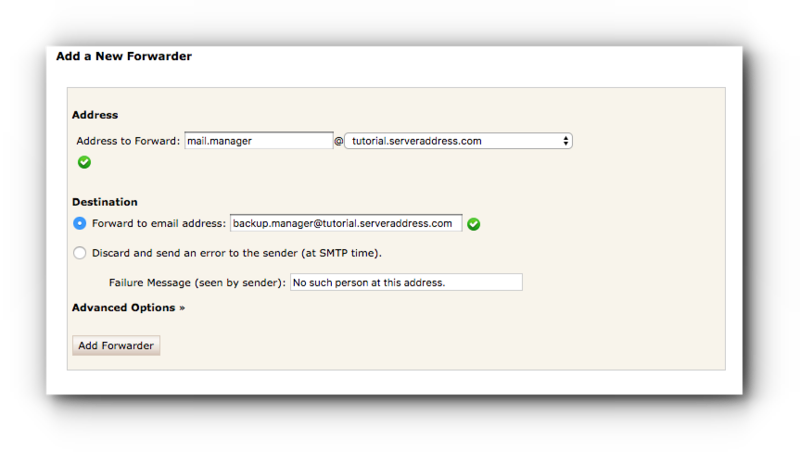 The above steps will allow backup.manager@tutorial.serveraddress.com to receive a copy of all outgoing emails that manager@tutorial.serveraddress.com is sending. 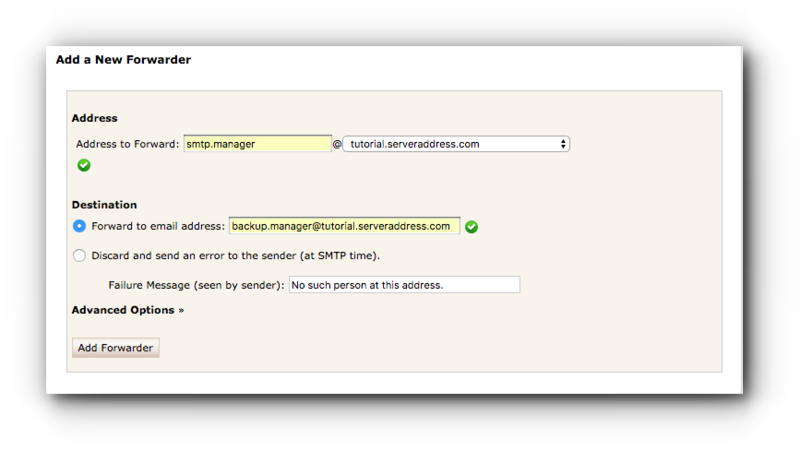 Once completed, backup.manager@tutorial.serveraddress.com will store a copy of all incoming and outgoing emails for manager@tutorial.serveraddress.com. Note: The email address mentioned above are only examples. Make sure to use the correct email address. Next, our Vodien Business Hosting also comes with the email monitoring feature. 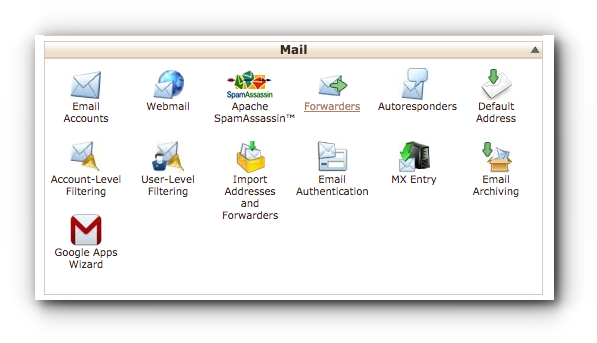 This feature would allow you to monitor all incoming and outgoing emails from an email account. Allowing you to keep track of all the emails being sent and received from your staff without them knowing. This is an important feature in the business organization. To begin, ensure both emails accounts are already created and in used. If not, you may proceed to create the email accounts admin@tutorial.serveraddress.com and manager@tutorial.serveraddress.com. The above steps will allow manager@tutorial.serveraddress.com to receive a copy of all incoming emails that admin@tutorial.serveraddress.com is receiving. Step 10. Click on Add Forwarder. The above steps will allow manager@tutorial.serveraddress.com to receive a copy of all outgoing emails that admin@tutorial.serveraddress.comis sending. Once completed, manager@tutorial.serveraddress.com will store a copy of all incoming and outgoing emails for admin@tutorial.serveraddress.com. 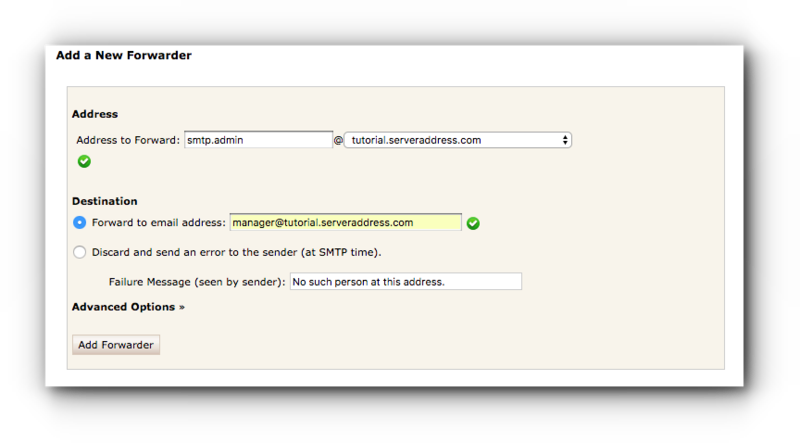 The monitoring feature is now enabled for admin@tutorial.serveraddress.com.